In the posts immediately preceding this one, I have been talking about ancient Roman amphitheatres. In the first post I discussed those I've visited and in the second I discussed a few that I just missed out on visiting. I'm going to wrap this little series up with a final post on a few more that I missed. These were just a little further out of the way than those in my previous post - which for the most part were within a short walking distance from those I visited. The ones on this page were on average within a few miles of sites I visited or the travel route I took. The ruins of Carnuntum are just east of Vienna and very near the border of Slovakia. There are actually two ancient Roman amphitheaters here: a civil amphitheatre (wikimapia) and a military amphitheatre (wikimapia) . It could have made for a nice day or afternoon trip from Vienna had I known about them at the time. Fans of the British motoring show Top Gear might also recognize it from beginning of Series 18, Episode 1. Baraus and Ancholla both lie south of El Jem. That day was mostly a day of travel for me with a morning stop at Monastir, a lunch time stop at El Jem, an hour long traffic jam through Sfax, and a late evening arrival in Houmt Souk on the far side of the island of Djerba. If I had known in advance about Sfax traffic and a way around it, I might have been able to visit Bararus and/or Ancholla. Thimisua and Uchi Maius are both within a few miles of Dougga. That day was also a day travel. I left Tozeur in the south around 7:30 am, made an extended early afternoon stop at Dougga, and ended the day with an overly long hotel search back in Tunis and Sidi Bou Said. On top of that, two weeks of Tunisian cuisine had more than caught up with me and the thought of getting out of the car to walk around more Roman ruins was too painful to bear. Fortunately for my exhausted body, I was not aware of either of these sites at the time. 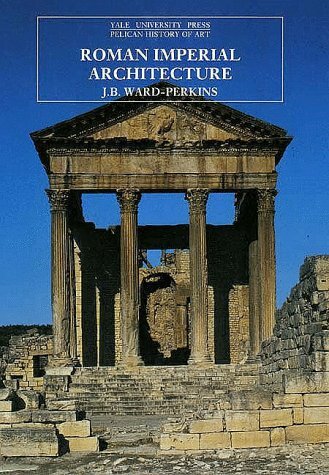 Roman Imperial Architecture (The Yale University Press Pelican History of Art) by J. B. Ward-Perkins. This was the book I used in my art history classes some twenty years ago now. As the title implies, it is a survey of Roman imperial architecture in general and is not dedicated solely to amphitheatres. It does however span the entire Roman empire and not just Rome (or even Italy). 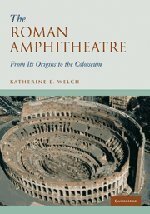 The Roman Amphitheatre: From its Origins to the Colosseum by Katherine E. Welch is probably a better choice if you are only interested in amphitheaters, though I confess I have not actually seen this title in person. If you have little gladiators running about, then you might be interested in the Roman Colosseum 3D Puzzle. Just remember to take your time. Rome wasn't built in a day!